Pianist Harmen Fraanje was born in Roosendaal (Holland) and has been playing piano since an early age. After studying and graduating at the conservatories of Tilburg and Utrecht his career took off very rapidly. Harmen started to write his own music. The need to form his own group became obvious and after Harmen met Brazilian guitarist Nelson Veras his quartet was born. The drum chair was taken by French drummer Matthieu Chazarenc and on bass Hein Van de Geyn was an obvious choice since he somehow had brought the group together, and was more than enthousiastic about Harmen's playing and his music. The group started to work, and the sound of Harmen's band was becoming stronger and more personal. In 2003 the group recorded their much acclaimed first CD: Sonatala (Challenge Jazz SACHR 70116) that received rave reviews all around. The group played at the North Sea Jazz Festival and according to Dutch newspaper NRC the quartet was "the revelation of the festival". Besides the activities with his own group, Harmen was sought out increasingly by other established musicians. His collaborations with trumpeter Eric Vloeimans and guitarist Anton Goudsmit took him all over the world (Paris, Berlin, Rome, St. Petersburg, Oslo, Bangkok...). He also started to be involved in strong other groups (Narcissus Quartet with Robin Verheyen, Nelson Veras, Toma Gouband Par 4 Chemins with Brice Soniano, Mats Eilertsen), often writing music for these groups as well. In 2004/2005 some concerts were done with the phenomenal "Magic" Malik Mezzadri, and this was so musically inspiring that Harmen decided to add Malik to the group when possible, and record his new CD with him. This resulted in the CD that you have in your hand now. 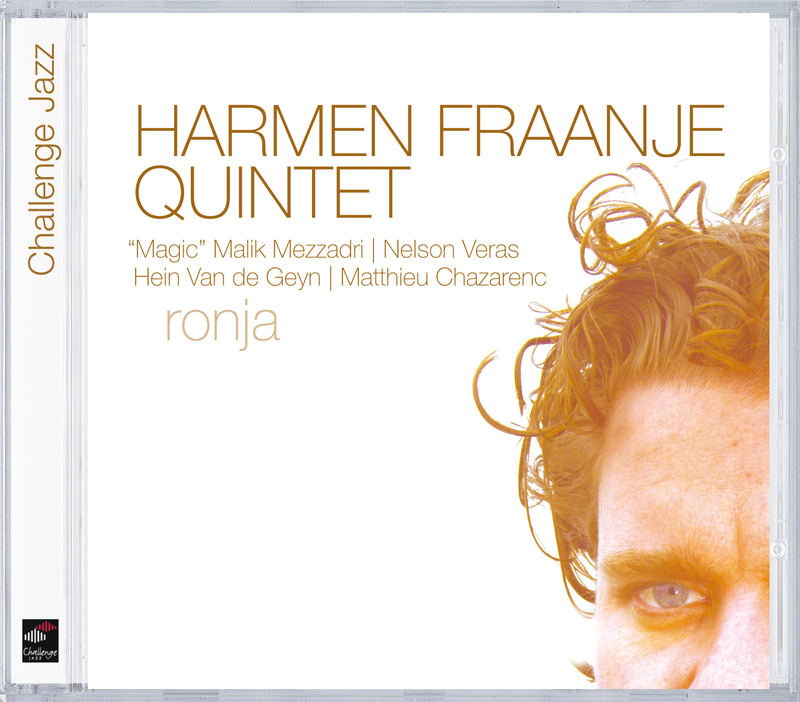 The new album of Harmen Fraanje, Ronja, is defenitely worth waiting for! The album is filled with sounds of life joy. The guitar, the contrabass, the drums, the flute, the piano, everything sound just as warm and clearly.